Carlson Software provides both hardware and software for use in surveying, civil engineering, construction, mining, GIS, and accident investigation. They offer solutions in everything from data collection to CAD design to construction. For instance, data collected from the land survey industry can transition into the Civil Engineering and Hydrology products and from there, to the construction and machine control markets. 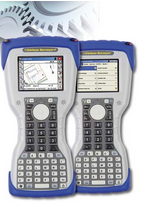 Juniper Systems manufactures a custom version of both the Archer 2 and the TK6000 for Carlson Software, which they brand as the MINI2 and the Carlson Surveyor, respectively. Customers use the handhelds with specialized software sold by Carlson, along with RTK GPS receivers or Total Stations to collect the data they need for improved decision-making and productivity. Pro-Dig™ is a NIST-Certified (National Institute of Standards & Technology) company that manufactures hydraulic drive heads, augers, foundation tooling, and torque monitoring systems for use in the drilling and construction markets. They provide attachments to mount drive heads on all types of construction equipment, including excavators, skidsteers, backhoes, and digger derricks. If an attachment or auger is not compatible with a customer’s machine, Pro-Dig can custom design the equipment to fit. 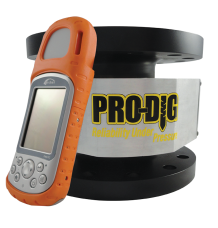 Pro-Dig’s products measure actual torque loads, angle of installation, depth, and drive head shaft speed, and this data is quickly recorded using the Archer Field PC®. The torque is recorded to a high degree of accuracy of 0.25%. Without the Archer Field PC, machine operators would need to stop the machinery and record manual readings, or even approach moving machinery. The Archer Field PC makes these processes significantly faster and safer. Topcon provides innovative positioning technology for use in construction, mapping, GIS, reference networks, scanning and imaging, surveying, and agriculture. Their products include both the hardware for the job, as well as a variety of mobile and office software. 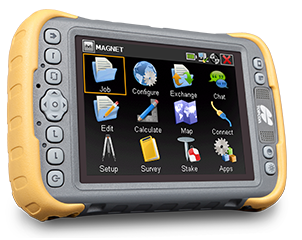 Juniper Systems manufactures a custom version of the Mesa® Rugged Notepad for Topcon, called the Topcon Tesla. Topcon selected the Tesla for its extra-large 5.7” display and ultra-rugged, waterproof design, which provides superior data protection in even the most extreme environments. Topcon customers run their mobile software on the Tesla, utilizing real-time data to boost productivity and improve planning and decision-making. The data they collect on the Tesla results in more precision, efficiency, and control. So if you’re headed to CONEXPO-CON/AGG 2014, stop by and give us or our partners a visit. Or you can always contact us online or via phone at 435.753.1881.